More Polish Pickup June polishes coming right atcha on the blog! This month the theme is Video Games and the makers have gone overtime on the creativity interpreting all the brilliant colors and textures. 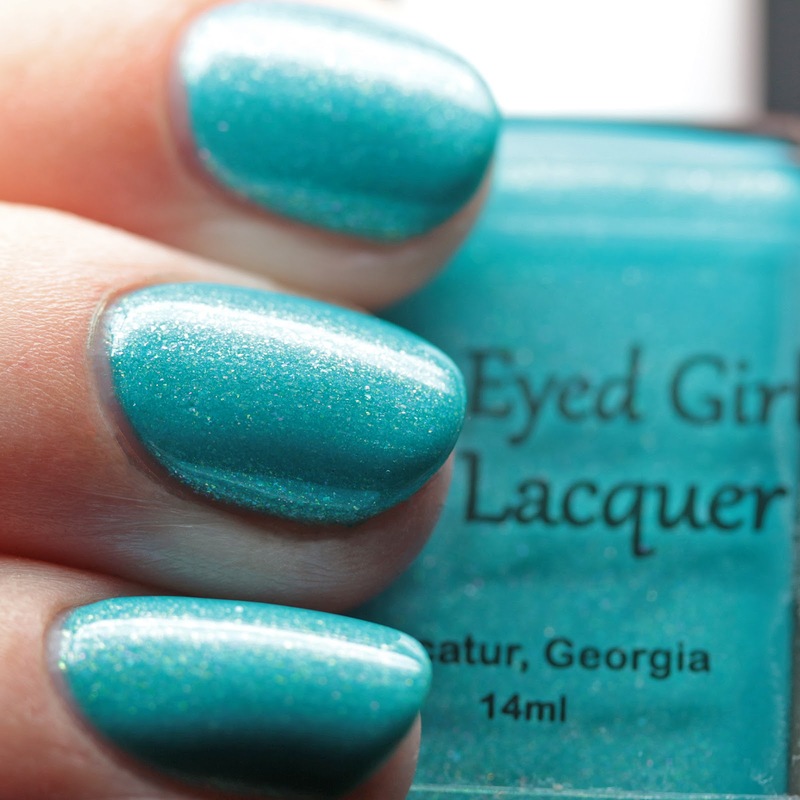 Next up is Blue-Eyed Girl Lacquer's contribution! Polish Pickup is a Facebook group and pop up shop that involves indie polish and craft makers producing items based on themes voted in by the group. The shop will be open from June 1 at 11AM EDT to June 4 at 11:59 PM EDT. 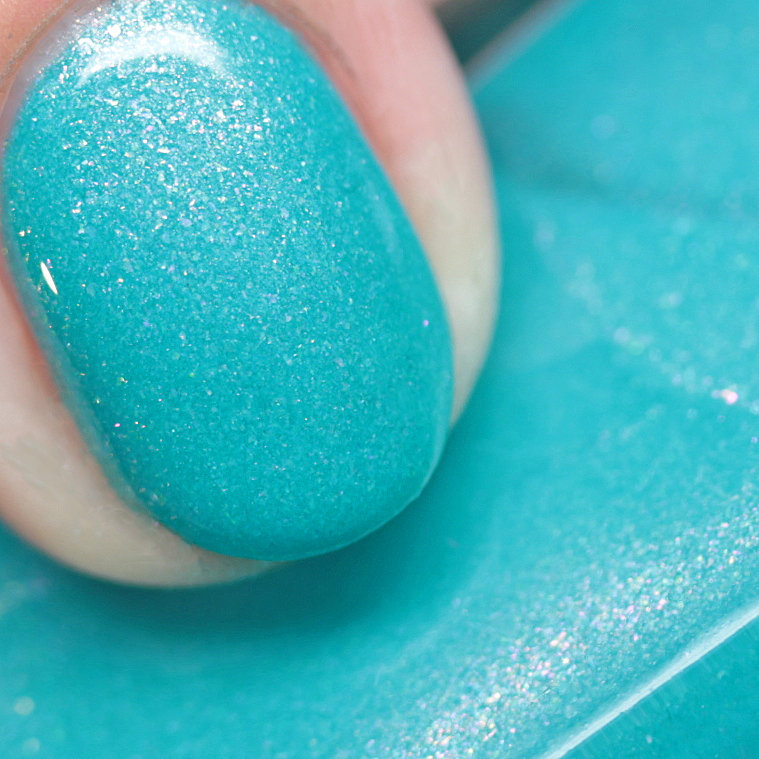 Blue-Eyed Girl Lacquer Welcome to the Coast is a bright aqua with copper shimmer, aqua, green, and copper microflakes, and bronze to green duochrome aurora shimmer. It will cover in two or three thin coats and has a perfect formula. It is inspired by the Costa Del Sol zone in Final Fantasy XIV. I love this tropical vacation on your nails from Blue-Eyed Girl Lacquer! 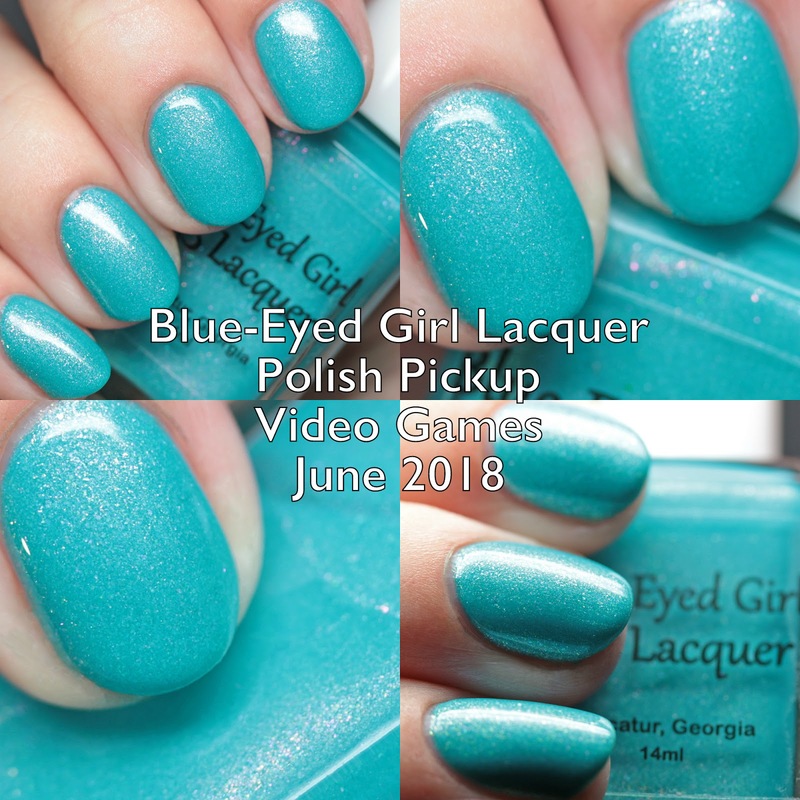 Stay tuned for a whole lot more polishes from Polish Pickup June 2018 Video Games. The shop will be open from June 1 at 11AM EDT to June 4 at 11:59 PM EDT. Have you checked out the listings yet?